The resignation of Saeb Erekat on 12 February was the final page from a sad story about how the media can create and destroy a current affairs TV celebrity. From his beginning as a journalist, then a career politician, Erekat became what could resemble the Britney Spears of Palestinian politics. In May 1988, Erekat was one of three Palestinians (Haidar Abdel Shafi and Hanan Ashrawi were the others) to participate in ABC Nightline's Town Hall meeting from Jerusalem (photo, above). 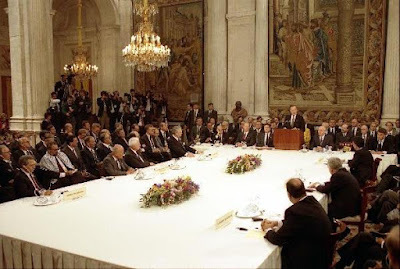 Following a career in academia and the media in the West Bank, he came to prominence for the first time as a member of the PLO delegation to the Madrid conference in 1991. Then, he famously put on his shoulders the Palestinian keffiyeh in a sign of defiance of the Israeli interlocutors (second left in the photo above). 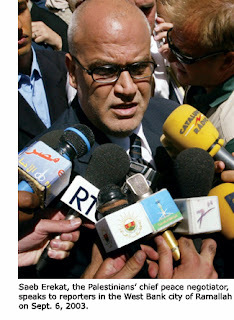 And ever since, until the 12 February 2011 resignation, Erekat has become a captive of the news media glamour and fame. Between the 1993 Oslo process and the aftermath of the 2000 intifada, the man did not spare a chance to appear for comment on various Arab and international media. He appeared to have had all that wanted: Good looks, excellent English and senior PLO position. He was also a strong believer in the justice of his cause and the independence of his Palestinian character. Erekat liked this role and it seemed that the role also liked Erekat. From one studio to another, he came out with the smartest, catchiest phrases and quotes that tantalized the taste buds of any news producer or correspondent. Erekat understood very well the role of the media, particularly in promoting his cause. Why not, when after all, it is the perceptions of personalities on the media is what often define one's understanding - if not final judgment - of the otherwise complex problem of Palestine? "The peace process was as slow as a turtle; and Netanyahu has now overturned this turtle." However, after he went up the hierarchy of the PLO's negotiation department, Erekat started to evolve: From a head of department and lead negotiator to a sort of a TV celebrity, with an unquenchable addiction to appearance on TV screens. Therefore, the next question was what to talk about when peace talks are frozen? 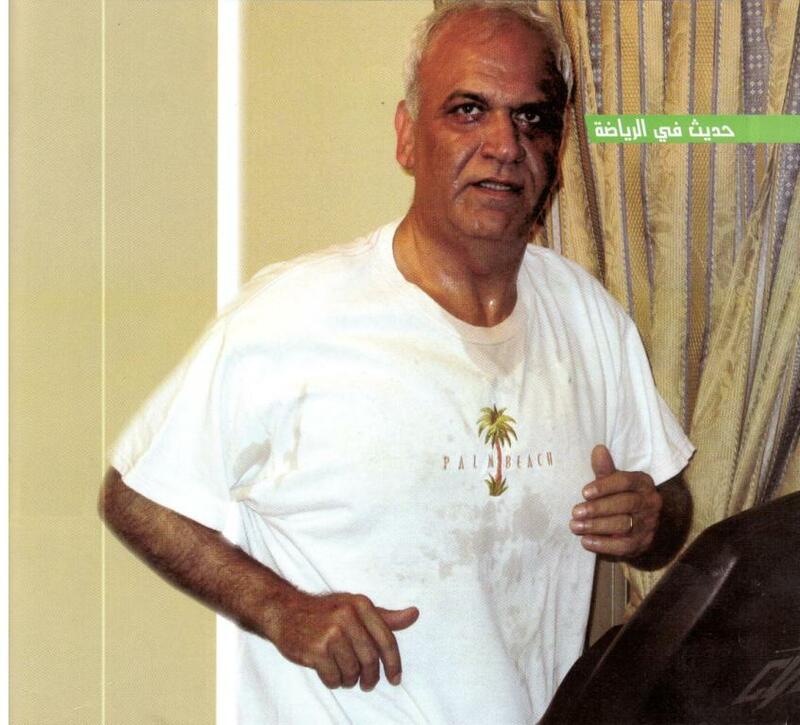 Erekat chose sports. Again, the consistent is his attachment to the media, even though, at times, this caused more embarrassment than benefit to the cause. Hamas, the rival of Fatah and the PLO, used the video of a report on Erekat's "chill-out" regime on Israeli Channel 2 to tarnish his image. Over the years, Ereikat mastered the role to the extent that - regularly - I wondered as to the relatively long air time he spends commenting on [often the failure] of talks with Israel. These days, the power of media is immense, and to an extent insurmountable. This was a fact that Ereikat apparently never thought of, apparently until 23 January. When faced with the Palestine Papers on that day, Ereikat looked gobsmacked as he was begging for air time to breathe out his defence. At one point I thought he would cry. Al-Jazeera's presentation was also extremely cruel to be fair. Erekat apparently had not been told about the content of the interview and I'd assume he thought it was just "another interview". In addition, the sad music that accompanied the presentation (strangely on both Al-Jazeera Arabic and English) reminded one of the first scenes of Gillo Pontecorvo's "Battle of Algiers" (1966). In that scene, an Algerian collaborator was forced to show the French occupation soldiers the hideout of the Fedayeen. He was shameful and humiliated, and that how Erekat looked during the first minutes of that interview. 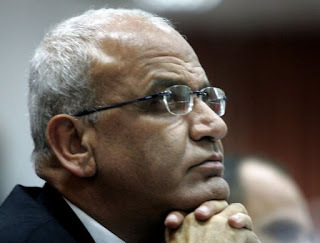 On the other hand, when I heard that Erekat had told the Israelis "I will give you the biggest Yerushalaym [Jerusalem]" and other quotes that were used against him by Al-Jazeera, I knew very quickly that this was Erekat that we knew. He was not being a traitor or a sellout. He was just being what he became: a talkative figure that tries to look smart and eloquent. 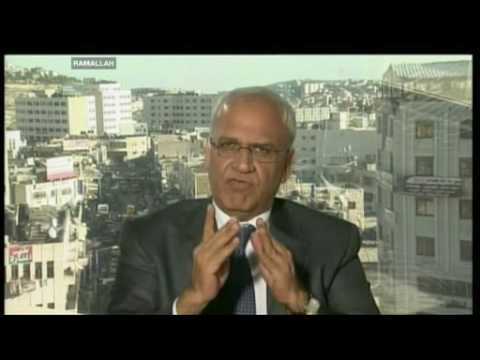 Palestinian historian and academic Mahdi Abd al-Hadi summarized on Al-Jazeera what happened to Erekat on the same day. He said that Erekat had simply become a "spokesman" and that he was not supposed to treat serious negotiations with the simplicity of a TV appearance. After that day, it all went downhill for Erekat. Several days on, he appeared again, this time very furious, aggressive if not feral, in a talk show with Al-Jazeera's Ahmed Mansour. Obviously Al-Jazeera wanted to show that he was not targeted because he was Erekat. But again, it was too late, and Erekat made it even worse, as he grappled with the question of how the documents had been leaked from his office. In his last interview on Al-Jazeera English, this time on "Frost over the World", Erekat lost all his aggressiveness but not his eloquence. However, he knew it was over as he talked to Sir David Frost. On 12 February, Erekat tended his resignation, claiming personal responsibility for the leaks.